A guide to five of the biggest geek celebrations held in the U.S. 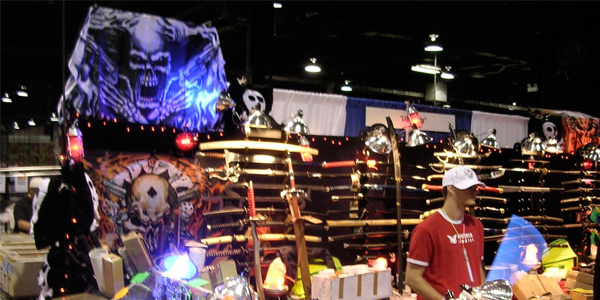 Starting in February and going all the way through the end of September, it’s the season for the major comic conventions. With events all over the country, it’s hard to decide which ones are worth the trip. 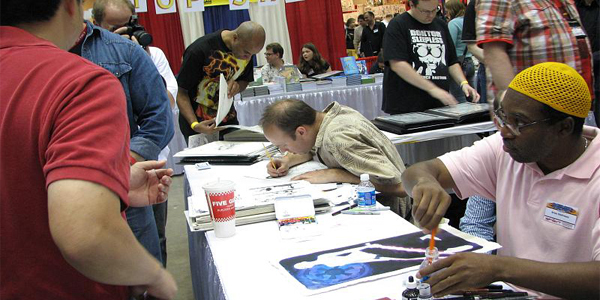 Here are five of the biggest comic conventions in the U.S. Given that the San Diego Comic-Con is the biggest convention in the world, I would be extremely remiss if I didn’t give this event a mention. San Diego is geek heaven for four days in July. It doesn’t matter whether you prefer science fiction, horror, adventure, or animation – you’ll find it all at this convention. Not only is it the largest convention but it has also become THE place for Marvel and DC to unveil their latest projects, film and television previews and newest toys. 2007 saw 125,000 attendees come through the door. The Wizard World conventions are the second biggest conventions of their kind in the country, seeing attendance of over 58,000 people. At Wizard World Chicago, you’ll find all the major players in the comic book industry, as well as artists, writers, and other celebrities. Needless to say, there’ll be plenty of vendors selling rare merchandise and lots of interesting people to watch. People new to the Wizard World Chicago convention will be surprised to find that the convention is not actually in Chicago proper, but in Rosemont, IL. You definitely want to book a decent hotel well in advance for this one. Going into its tenth year next fall, Baltimore Comic-con is pretty much the last of the major Comic-Cons of the year. In comparison to some of the other major conventions, this one is low key and laid back. This is a true convention for comic book fans. While other Comic-cons like San Diego have turned their focus to other forms of media and genres, Baltimore Comic-Con tends to focus strictly on the comic book industry. 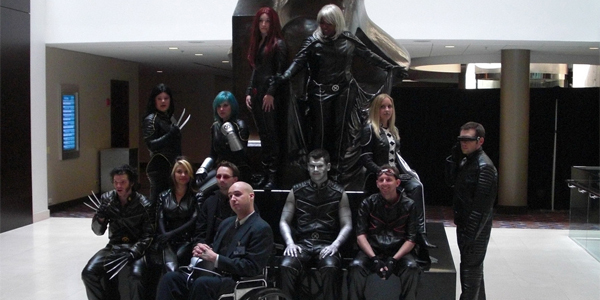 This convention also hosts The Harvey Awards, an award show for members of the comic book industry. Along with WonderCon in San Francisco, MegaCon (in Orlando) kicks off the Comic-Con season. 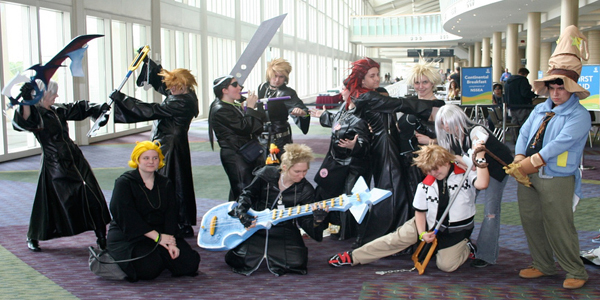 Around 20,000 comic book, science fiction, fantasy and anime fans converge on MegaCon each year. One of the things most worth checking out at MegaCon is the Live Action Role Playing game, Paranoia Live! Based on a popular RPG game set in a dystopian future where a deranged computer protects an underground city, this LARP version is definitely worth seeing. 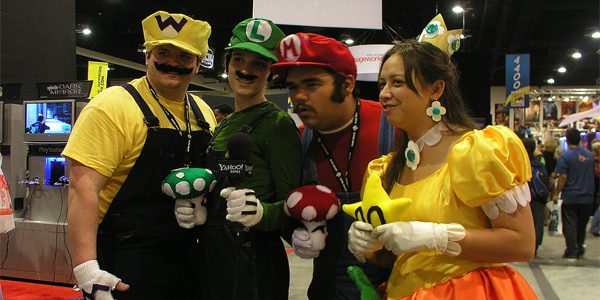 Starting next year, MegaCon will also host the new annual Project Fanboy Awards. Wizard World LA is much newer than the rest of the conventions on this list, getting ready to enter its sixth year. More laid back than its Chicago sister, it is considerably smaller than the media frenzy that is San Diego but it has potential for major growth. Given its location at the Los Angeles Convention Center, its accessibility to Hollywood makes it definitely the convention to watch out for.